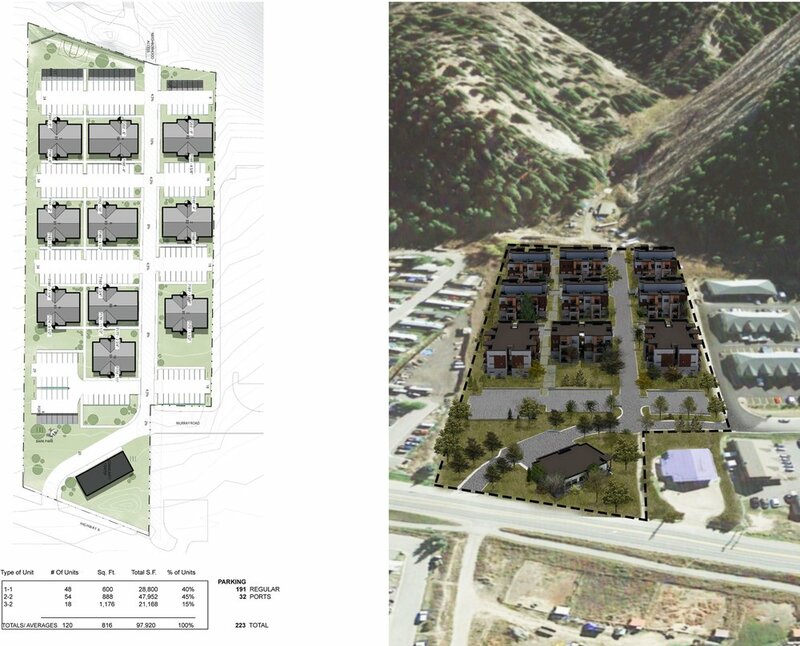 6 West is a new development of 120 apartment units located in Edwards, Colorado. 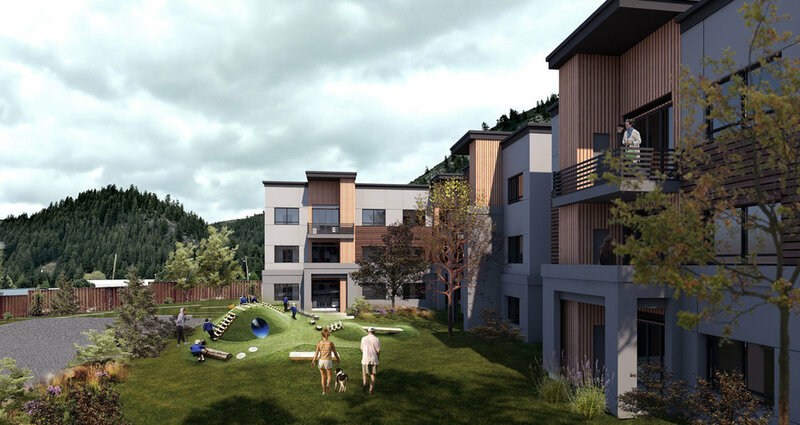 The project is a series of ten buildings laid out on a sloping site at the bottom a mountain valley. The project is composed of 1, 2 and 3 bedroom apartments all completed with systems built construction. 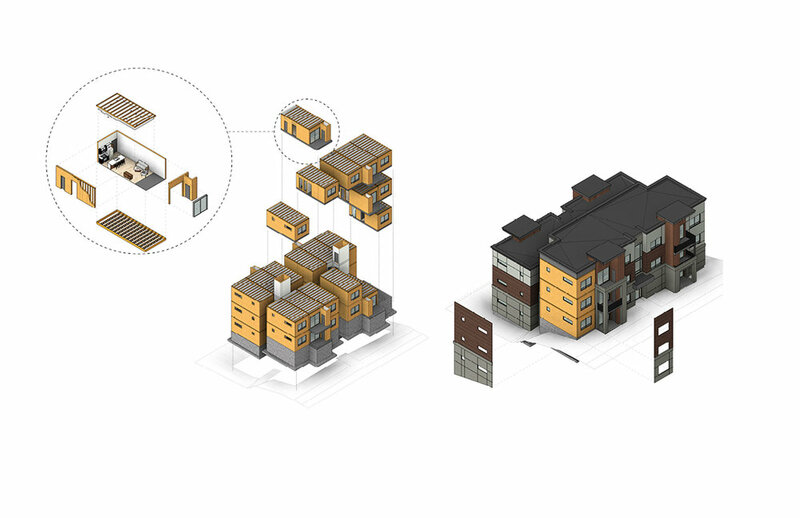 All living units will be totally fabricated off site in a factory, shipped on site, and stitched together on top of a site built foundation. 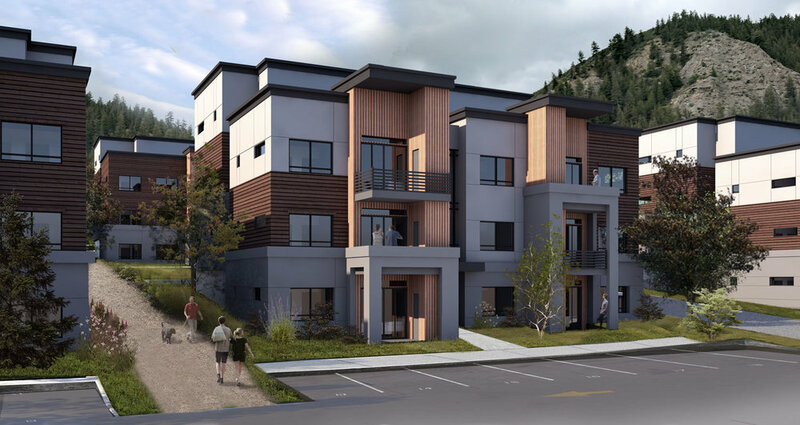 This process, which 359 is now using extensively, reduces construction costs and time on site in mountain environents where building windows are short and labor forces are small.